He entertained petitions and ordered the release of those against whom there was no material evidence. 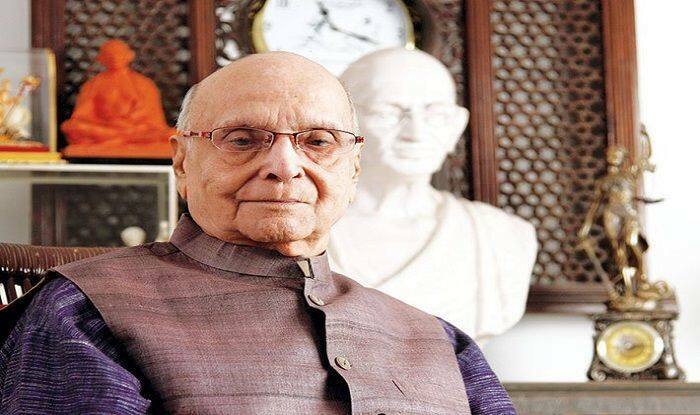 New Delhi: Former justice Chandrashekhar Shankar Dharmadhikari, who was an eminent Gandhian, freedom-fighter and social activist, passed away at a private hospital in Nagpur on Thursday after a cardiac arrest. He was 91. Justice Dharmadhikari, who delivered a landmark verdict during the Emergency on human rights, is survived by his medico daughter Aruna Patil and two sons — Justice S.C. Dharmadhikari of Bombay High Court and lawyer Ashutosh, said family sources. Born in Raipur, (then in Madhya Pradesh) on November 20, 1927, Justice Dharmadhikari received many awards, including the prestigious Padma Shri and Padma Bhushan awards. He was appointed as the Bombay High Court judge in July 1972. Then he served as the Acting Chief Justice in Nagpur before his retirement in November 1989. In his landmark verdict on human rights, Justice Dharmadhikari stated that the Right to Life, apart from the constitutional rights is a natural and human right. Thus even during the Emergency, a citizen of the country had the right to approach the high court. Accordingly, he entertained petitions and ordered the release of those against whom there was no material evidence. Post-retirement, he was the Chairman of Maharashtra Administrative Tribunal (1991-1992) and later a committee headed by him in 2014 had recommended a complete ban on dance bars in hotels/restaurants and ‘curbs on social media’ since they had a ‘corrupting influence’, in order to reduce crimes against women. Hailing from a family of staunch Gandhians who are largely into the legal profession, Justice Dharmadhikari also served as Chairman of Educational Regulatory Authority, on the Maharashtra State Women’s Commission and National Commission for Women. Besides, he had penned books in Hindi, Marathi and Gujarati. Maharashtra Governor C Vidyasagar Rao expressed grief over the demise of Dharmadhikari. Rao reportedly said that the state had lost a staunch Gandhian and ‘one of the finest judges of Bombay HC’.